Seventy-seven percent of doctors have recommended an app or digital program to their patients. Fifty-four percent of consumers are willing to try an FDA-approved app or digital tool for the treatment of a medical condition, according to a new report out of PricewaterhouseCoopers compiling survey data and other health trend information from the past year. 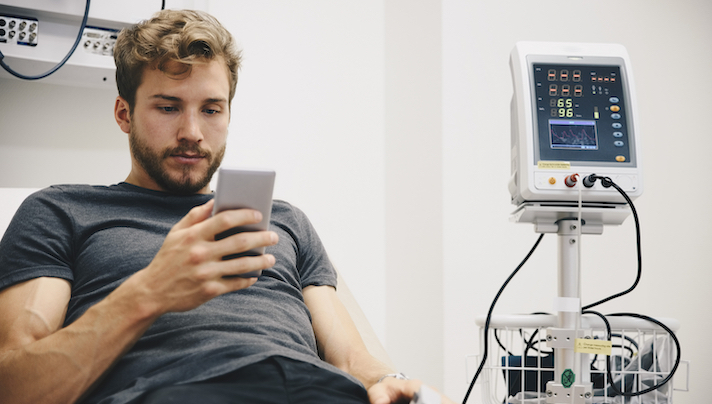 A fall PwC's survey of 1,750 US adults also found that doctors are suggesting digital tools to patients more often, with 77 percent of doctors having recommended an app or digital program to their patients. Sixty-six percent said that the app or digital program improved some part of the patient treatment experience. As these technologies begin to become more mainstreamed, validation has also become a hot topic. The report broke down four main methods of validating digital therapeutics, including FDA approval or clearance, registered clinical trials, observational studies or pilot programs and retroactive studies. The authors of the study noted that several life science companies such as GlaxoSmithKline have already teamed up with digital health companies to develop this type of technology, and predict that more will come into the space in the future. “As more digital therapeutics and connected devices come onto the market, biopharmaceutical companies will have to change their approach to product discovery and development, focusing on solutions that have demonstrable outcomes for patients, providers, insurers and employers,” authors of the study wrote. In short, this survey suggests that the future of medicine is digital. A majority of consumer responders and doctors were willing to embrace the new technology as a way to help with treatment. It’s no secret that digital health adoption is on the rise. This trend is reported by several market reports. In August Rock Health published a report that found 86 percent of Americans used at least one digital health tool in 2017. Additionally, last March an Accenture survey showed that 33 percent of Americans are using wearables and 46 percent using apps.